Paraiba topaz is known for its intense neon blue, a color typically seen in only the rarest of gemstones. Topaz gemstones occur in a variety of colors, but in the United States, they are best known for their blue hues. Joining the well-known sky blue, Swiss blue, and London blue topaz is Paraiba topaz. Like the famous Paraiba tourmaline, Paraiba topaz dazzles with an intense neon color. What Color is Paraiba Topaz? Paraiba topaz flashes with a vibrant and intense neon blue. Its blue color falls between sky blue topaz and Swiss blue topaz in its intensity. Few gemstones display such a desirable blue color, chief among them the rare and expensive Paraiba tourmaline. 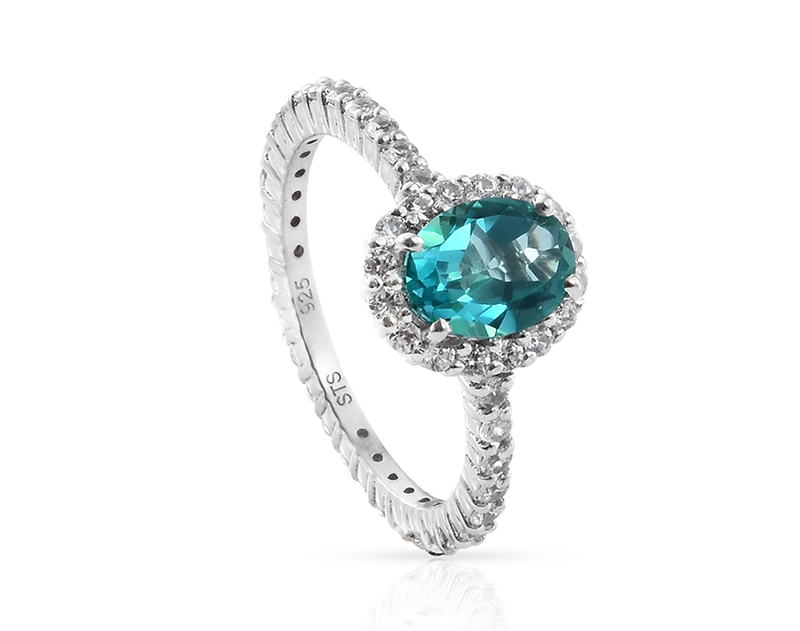 With its affordability, this makes Paraiba topaz a great alternative. Topaz is known for its resistance to scratching and abrasion, ranking eight on the Mohs scale. The gem isn’t known for its toughness, however, so care should be taken when wearing this gem. Another distinction of Paraiba topaz is its size. Specimens usually range from one to 25 carats in size, providing a good selection for a size that’s right for you. With the rarity of the equivalent tourmalines, buyers often have to accept what is available. Paraiba topaz is readily available in all popular shapes and cuts. With a reliable clarity, Paraiba topaz is typically free of eye-visible inclusions. Paraiba topaz receives its unique color from a proprietary coating process. 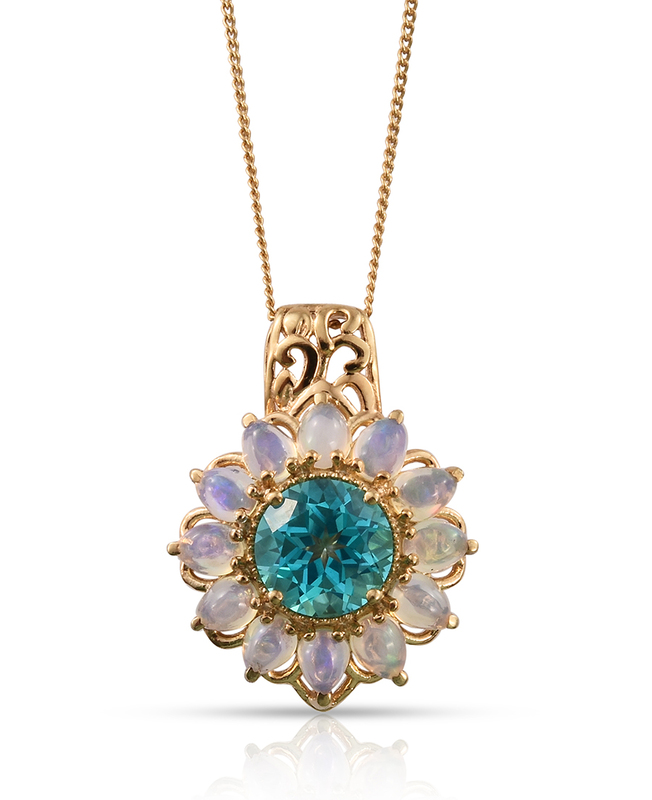 Who Should Wear Paraiba Topaz? The neon blues of this gemstone make it an unusual curiosity for collectors. If you ever wanted a gem similar in color to Paraiba tourmaline, you’ll want to get this stone. Considering that genuine Paraiba tourmaline can retail for thousands per carat, you’ll save a bundle while securing a gemstone with a strikingly similar color. Those who want something a little different from traditional Swiss blue topaz or Marambaia topaz will also appreciate this jewel. The neon color really makes it pop, making the gem perfect for welcoming spring and summer weather. 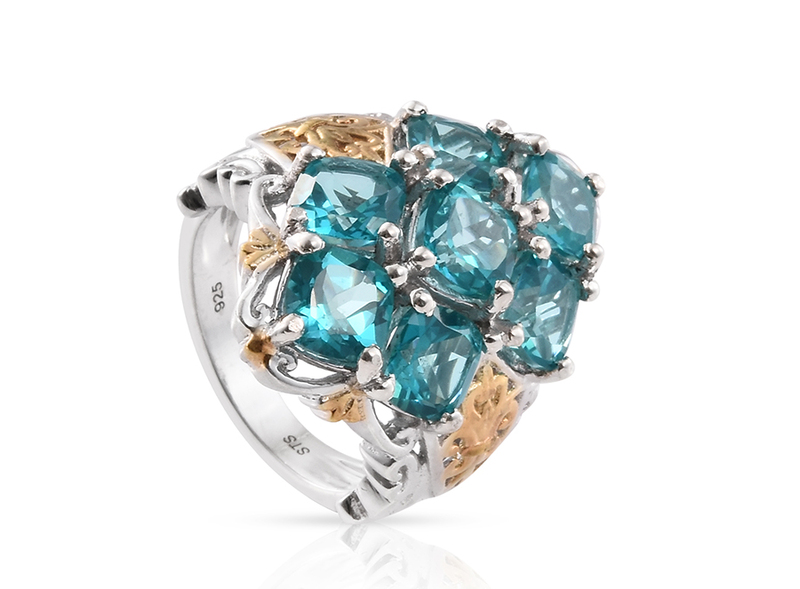 Is Paraiba Topaz a Birthstone? • Topaz is a modern November birthstone. Since the early 20th century, topaz and citrine have been officially recognized symbols for November. Traditionally, topaz associated with November have been orange, but other varieties, such as blue, have proven popular in recent decades. 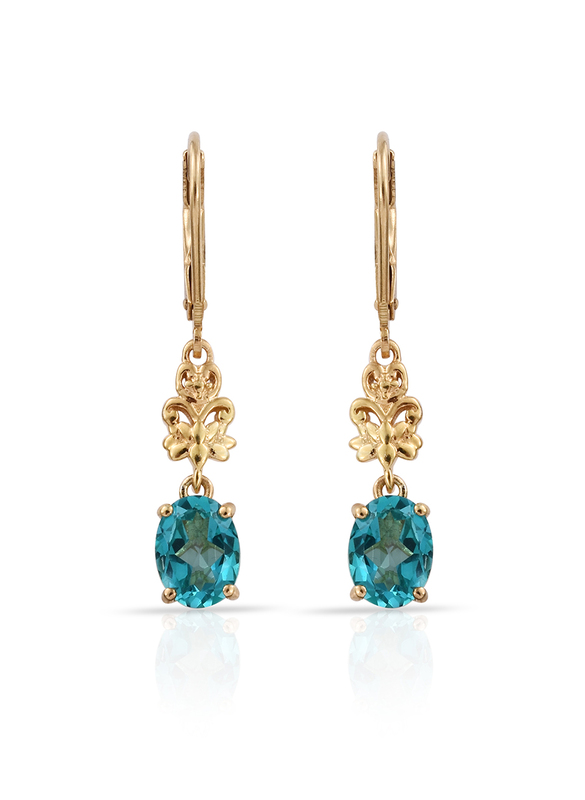 Paraiba topaz comes from Brazil, home to many popular gems. Miners employ heavy machinery when extracting rough topaz. Open pit conditions mean that poor weather occasionally halts progress. Coupled with the varied terrain of Brazil, topaz mining can be a challenging process. Ranks eight on the Mohs scale of hardness. Paraiba topaz displays an intense neon blue color. Paraiba topaz undergoes a coating treatment to create color.